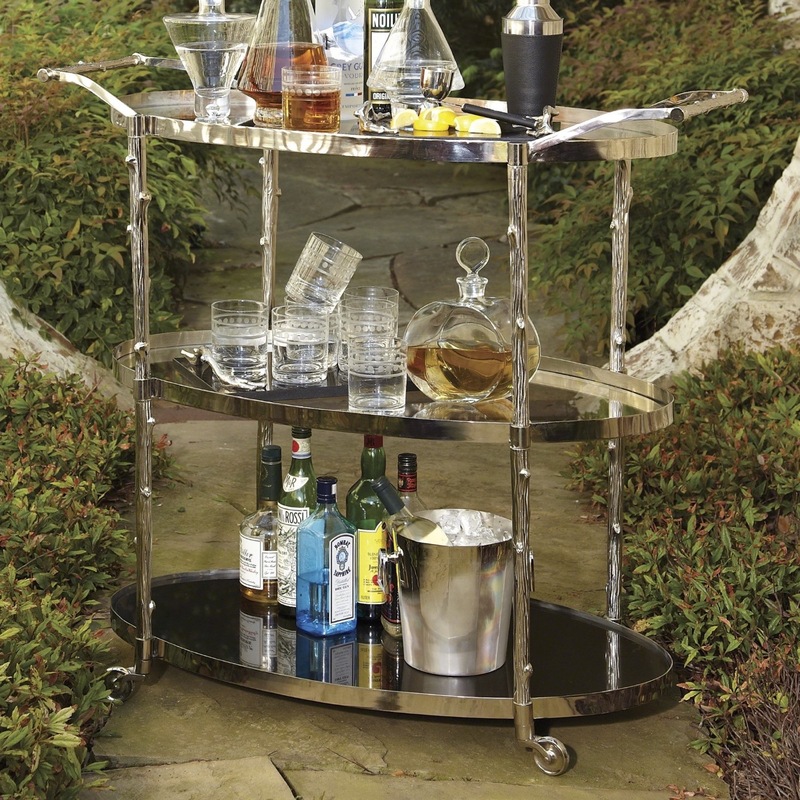 With a nod to the outside, this stunning bar cart has a branchlike frame finished in nickel. 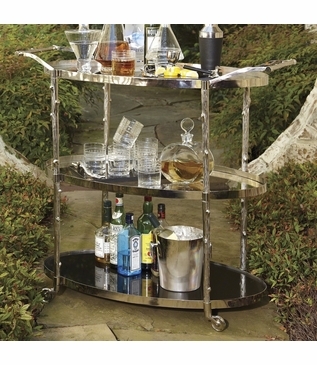 Fully functional, it features a polished black granite bottom shelf and two clear glass upper shelves. The simple and organic beauty of the materials shine through in this timeless design. Solid brass pivoting wheels make for easy mobility. Size: H: 37.5" • L: 42.75" • W: 20"